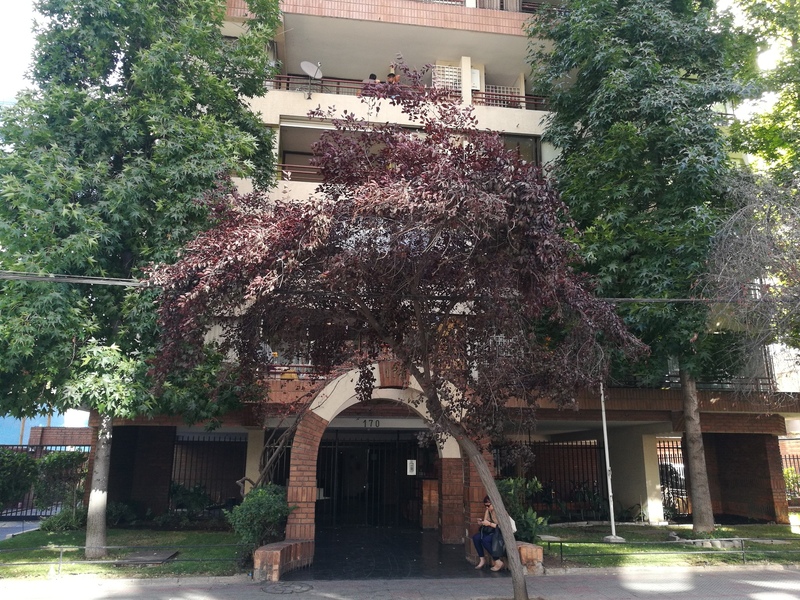 Carol was born and raised in Santiago. A practicing dentist, Carol has always had a passion for cooking, languages and culture. She often invites friends and family home and loves cooking for them using family recipes she has collected over the years. Carol is a self-taught cook who learned to cook by constantly reading cookbooks, watching cooking shows, attending culinary workshops and experimenting in the kitchen. 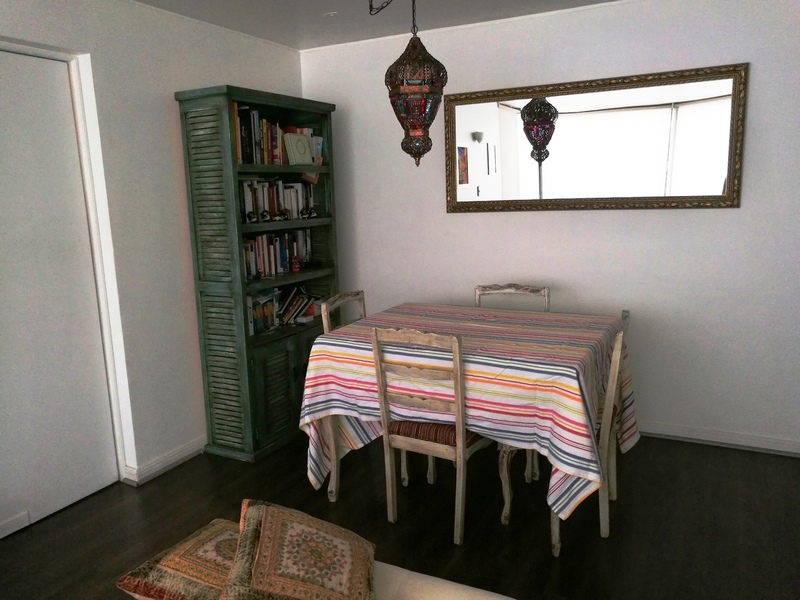 She enjoys cooking both Chilean as well as Arabic dishes that honor her Palestinian background. Her love of food has encouraged her to start a small business manufacturing and selling her own brand of hummus which she would be delighted for you to try! 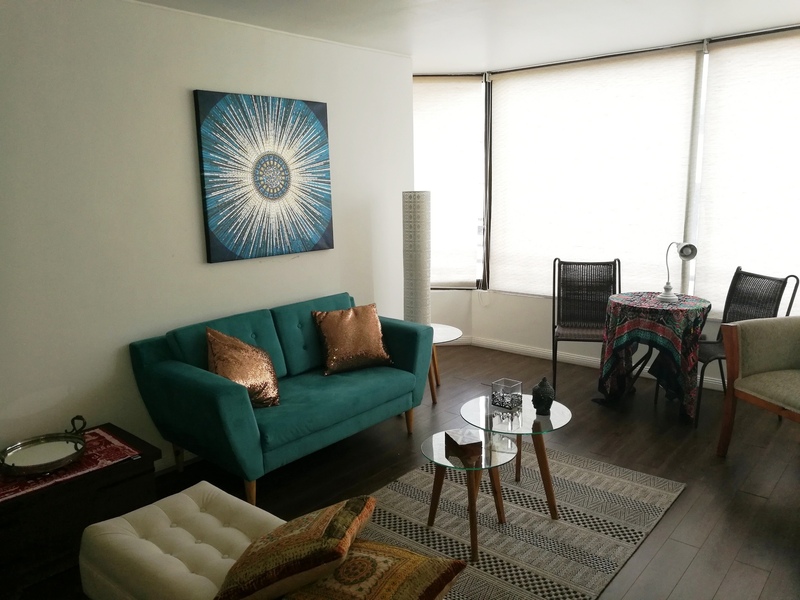 In-home meal: (1-4 guests) Carol lives in a well-decorated apartment with beautiful views of the city, in the heart of Providencia. You will be welcomed with a warm smile, a welcome drink and some soft tango or latin music playing in the background. Her passion for cooking is evident from her book shelf, which is filled with cookbooks! Carol loves having people over to cook for is and excited to prepare some her favorite dishes for you while sharing stories of growing up in Chile. Your meal will start with an appetizer, sopaipilla (fried pastry) and pebre (a type of salsa with tomatoes, onion and coriander), followed by a first course palta reina (avocado with smoked salmon, cream cheese and parsley filling) and pastel de jaiba (Chilean crab casserole) as a main course. End your meal with a dessert such as mousse de chirimoya (a fruit from the north of Chile served with orange syrup), served with coffee or tea and hazelnut truffles. Cooking experience: (1-2 guests) Carol offers a hands-on cooking experience during which you will get to cook along with Carol to prepare a traditional Chilean appetizer, main dish or dessert. 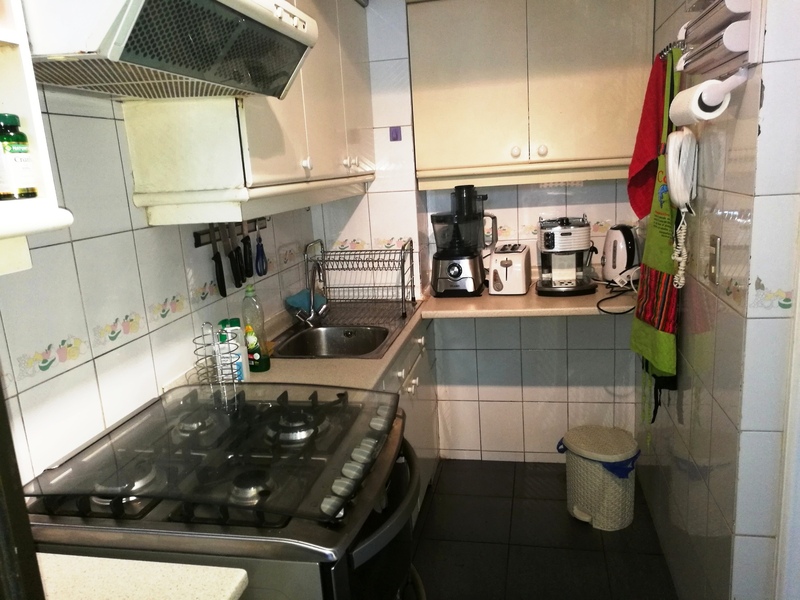 Please note that as Carol's kitchen is small, you will use the dining table to help with prep work and will watch Carol adding the finishing touches to the meal in the kitchen (about two people can fit comfortably in the kitchen with Carol). The cooking portion of the experience will last for about one hour, after which you will enjoy the meal you helped create together. Notes: Carol can offer vegetarian meals on request. 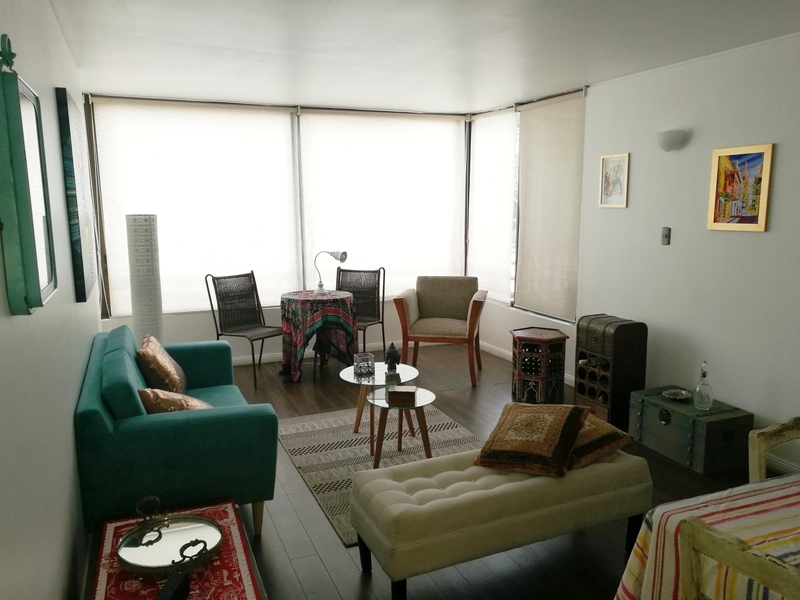 As soon as we entered Carol’s apartment she welcomed us with pisco sours as if we were just two of her friends coming over for lunch. 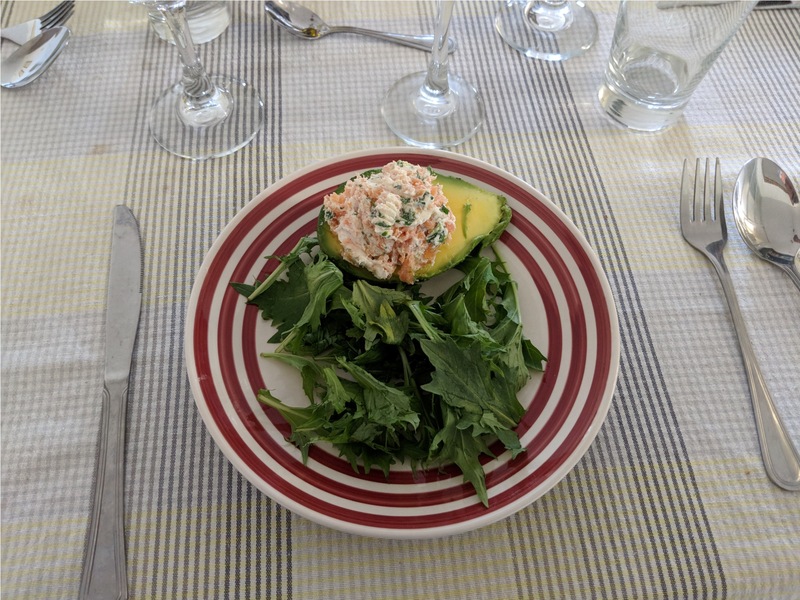 She sat us down right away to a plate of palata reina, a delicious entree of salmon and cream cheese stuffed into a pitted avocado. It was a hefty amount for a starter, but we never complain from too much food! At first Carol asked if we would like to play our own music, but we asked her to pick something that would compliment the experience. So for the rest of our visit, Carol put on her mix of Tango, which was exactly what we needed. The presentation of the dinnerware and tableware were pleasant to the eye. Carol was just as excited about her food as we were to try it. Her personality was very welcoming and youthful, and her professionalism in the area of food was apparent. 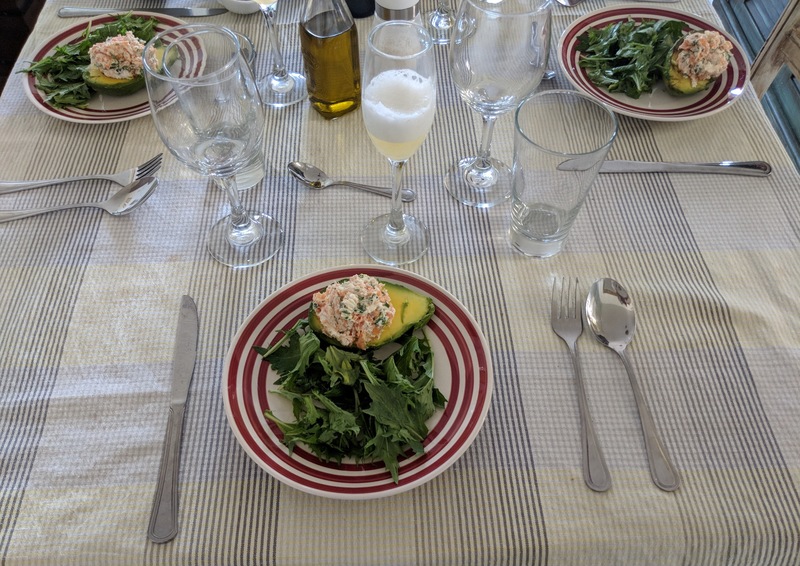 As we finished up the appetizers and beer, Carol popped opened a bottle of sauvignon blanc to give us a taste of a real Chilean lunch. Then we headed to the kitchen to begin the hands on part of the experience. 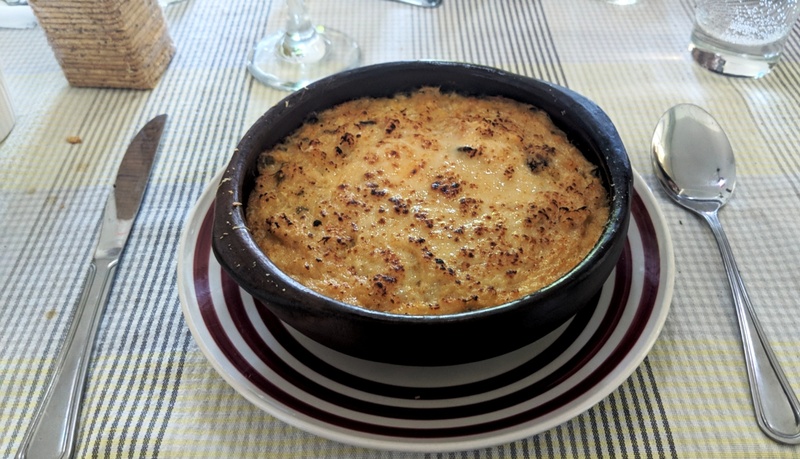 We were going to be making pastel de jaiba, a blue crab and cheese gratin. The news of it was a real surprise because we had assumed we’d be having a typical beef dish. I helped by buttering up the small traditional “skillets” used for the dish. Carol prepared the mix of blue crab and bread crumbs and Bavly shredded in the cheese. It was a team effort but I think having everyone do a little of each step could add to the value. After that Carol poured in the appropriate amount of wine into the mix and we scooped the creation into the skillets and put them into the oven. We conversed about Carol’s life in Chile and our travels over wine as we anxiously waited for the pastel de jaiba to brown. The smell of crab filled the home. When they were ready, Carol torched the top of each one like a creme brulee. By far the best thing we ate in Santiago! And the wine paired perfectly with the dish. Carol was a great host and became our friend so quickly.